We’d love your help. Let us know what’s wrong with this preview of Martin's Big Words by Doreen Rappaport. Acclaimed author Doreen Rappaport and Coretta Scott King Award winner Bryan Collier, who previously collaborated on Freedom River , have pooled their talents yet again in a stunning tribute to civil rights activist Dr. Martin Luther King Jr. An extraordinary picture-book biography, Martin's Big Words consists of Rappaport's own words interwoven with quotes from Dr. King...all powerfully brought to life by Collier's striking, glorious art. Rappaport's spare, gripping text and Collier's distinctive collage-and-watercolor illustrations depict King's life journey with reverence and dignity -- beginning with his childhood experience of seeing "White Only" signs throughout his hometown, presenting his efforts as a civil rights crusader, and ending abruptly with his assassination. The front cover of the book immediately conveys King's power and spiritual strength, consisting entirely of a lifelike portrait of him -- the title and the author's and illustrator's names are relegated to the back cover. As Collier says in his illustrator's note, he "tried to push [the imagery] to an emotional level that allows the reader to bring his or her own experience to it, without actually losing the intensity or the intention of the story." His technique is utterly effective. To ask other readers questions about Martin's Big Words, please sign up. was the white guy that killed Martin jealous about what Martin did, or he just wanted to take Martin's place? "Sooner or later, all the people of the world will have to discover a way to live together in peace." Martin's Big Words: The Life of Martin Luther King, Jr., written by Doreen Rappaport and illustrated by Bryan Collier, who previously collaborated on Freedom River, is part of the Big Words series of picture books by Doreen Rappaport. Think you have read more than enough about Dr. King? Well, this book stands out among the hundreds written: Recipient of the Jane Addams Children's Book Award, Cald "Sooner or later, all the people of the world will have to discover a way to live together in peace." Martin's Big Words: The Life of Martin Luther King, Jr., written by Doreen Rappaport and illustrated by Bryan Collier, who previously collaborated on Freedom River, is part of the Big Words series of picture books by Doreen Rappaport. Think you have read more than enough about Dr. King? Well, this book stands out among the hundreds written: Recipient of the Jane Addams Children's Book Award, Caldecott Honor, Coretta Scott King Honor, and New York Times Best Illustrated Children's Book, it is really special, featuring an artistic approach Collier likened to making stained glass windows. This is a great book for young kids to learn about Martin Luther King, Jr. Bryan Collier's art is interesting. He talks about trying to make it look like stained glass windows. I think it works here. The book lets children into his world. The kids were drawn into this book. They couldn't believe he was shot. That brought up a lot of questions. This book handles it well, it is very simply told and it says simply "he died." This book won the Caldecott for 2002 and I feel they made a good decision th This is a great book for young kids to learn about Martin Luther King, Jr. Bryan Collier's art is interesting. He talks about trying to make it look like stained glass windows. I think it works here. When I was a child, I always wanted to learn more about the life and death of Dr. Martin Luther King Jr. while at the same time, I wanted to see a picture book for children that details Dr. Martin Luther King Junior’s life in an uplifting way. Well, I just found such a picture book detailing Martin Luther King Junior’s life and it is called “Martin’s Big Words.” “Martin’s Big Words” is written by Doreen Rappaport along with illustrations by Bryan Collier and has won many awards including the Cal When I was a child, I always wanted to learn more about the life and death of Dr. Martin Luther King Jr. while at the same time, I wanted to see a picture book for children that details Dr. Martin Luther King Junior’s life in an uplifting way. Well, I just found such a picture book detailing Martin Luther King Junior’s life and it is called “Martin’s Big Words.” “Martin’s Big Words” is written by Doreen Rappaport along with illustrations by Bryan Collier and has won many awards including the Caldecott Honor book award, the New York Times Best Illustrated Children’s Book and the Coretta Scott King Honor book award. 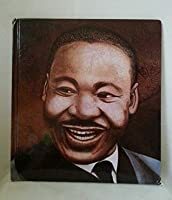 This book details the life and death of Dr. Martin Luther King Jr. in a picture book format and is easily one of the most inspirational pictures books ever created! When I saw that this book won two honors and a New York Times Best Illustrated Children’s Book, I was so intrigued because I had not seen a book win so many awards since Audrey Wood’s “The Napping House” and I think that this book richly deserves the awards it had won. Doreen Rappaport has done an excellent job at detailing the life of Martin Luther King Jr. and has indeed done her research on his life as there is a list of events that happened during Martin Luther King Junior’s life at the end of the book that I think will definitely help children know about the various events that happened during Martin Luther King Junior’s life. Doreen Rappaport makes this book extremely effective by using large and bold texts to describe various phrases that Martin Luther King Jr. used during his life such as he was a child, he uses the phrase “When I grow up, I’m going to get big words too” and the phrase is in blue, large and bold letters, which I think is effective in describing the various phrases that Martin used during his life to inspire the effects he had on America. Bryan Collier’s illustrations are extremely beautiful and effective, especially of the images of Martin Luther King Jr. speaking inside the church as you can see the stained glass windows at the background and they look extremely realistic and colorful. Also, Bryan Collier has done an excellent job at creating a dramatic atmosphere to the characters, especially of the image of Martin Luther King Jr. preaching in church and you can see the white light glow on him, which might indicate that he is angel sent to Earth as the light glow on him in an extremely effective way. 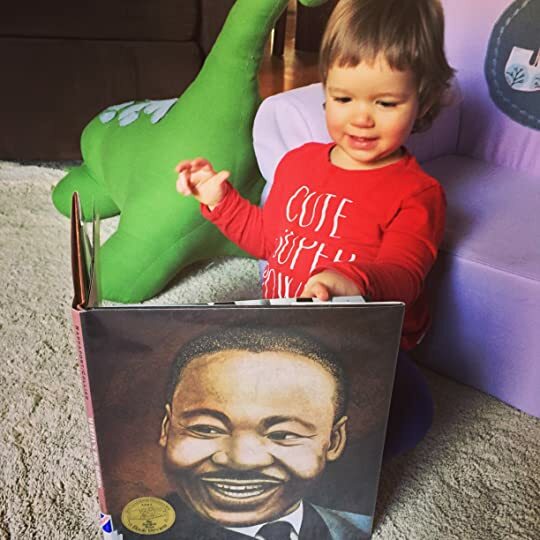 “Martin’s Big Words” is a true masterpiece on describing the life of Martin Luther King Jr. through the eyes of children and many children will definitely enjoy the book immensely. I would recommend this book to children ages five and up since smaller children might be a bit upset at the racism themes displayed in this book, even though this book is telling the audience about the trials that Martin faces during his life. Recommends it for: for learning about nonviolent activism, MLK, Jr., civil rights history, etc. Oh, I had trepidation about reading this book because of some comments made over at the Children's Books group. (This book is one of six books selected for February’s Picture Books Club; the month’s theme is Black History Month.) It just goes to show that we’re all going to have different reactions to the same book. I need not have worried. I thought this was a nearly perfect book for its aim; I think. Outstanding illustrations done in collage, a form I admire and enjoy. The book covers Martin Luth Oh, I had trepidation about reading this book because of some comments made over at the Children's Books group. (This book is one of six books selected for February’s Picture Books Club; the month’s theme is Black History Month.) It just goes to show that we’re all going to have different reactions to the same book. The book covers Martin Luther King Jr.'s life from his boyhood to his assassination. It shows some of what shaped his formative years and how central he was in the fight for civil rights. Yet, it’s told in a cogent way and in a manner appropriate for children. There are short lines about different parts of his life and these are interspersed with some of his famous quotes. There is an important dates list and list of books and web sites in the back of the book and author’s and illustrator’s notes in the front of the book. The whole recurring mention in this book of Martin’s big words, and big deeds, is very inspiring. I found this introductory biography of Dr. Martin Luther King, Jr. to be both beautiful, inspiring... and a little frustrating. On the one hand, I loved how the author incorporated MLK's "big words" into the story--most pages including actual quotes; but at the same time sometimes it felt a bit disjointed narrative-wise. Also, the narrative is so sparse that it lacks depth and I felt some key aspects of MLK's life were not explored sufficiently, even for a picture book. And I appreciate the fact I found this introductory biography of Dr. Martin Luther King, Jr. to be both beautiful, inspiring... and a little frustrating. On the one hand, I loved how the author incorporated MLK's "big words" into the story--most pages including actual quotes; but at the same time sometimes it felt a bit disjointed narrative-wise. Also, the narrative is so sparse that it lacks depth and I felt some key aspects of MLK's life were not explored sufficiently, even for a picture book. And I appreciate the fact that this is suitable for younger children and it doesn't get really heavy/graphic regarding the issues. Yet, on the other hand, I felt that it lacked a bit of resonance and power in the telling because so much was left out. That said, I thought the ending was really beautiful and strong, saying that his "big words" are left for all of us. I think this shows that we are left with the opportunity and power to continue making his dream a reality, and that even though MLK himself was killed, the ideals he stood for endure. As for the artwork, I thought some of it was absolutely gorgeous and so powerful. 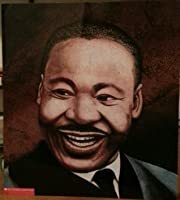 I also thought some of the depictions of MLK were excellent (like the cover art) but a few times I thought he looked a bit stern in comparison to the way the text was portraying him. Still, overall I liked the artwork and appreciated the illustrator's notes. The idea and philosophy behind incorporating the stained glass images is lovely and I appreciate the symbolism, such as the four candles representing the school girls killed in the bombing and how their light shines on. Wonderful! While I have in many ways very much appreciated author Doreen Rappaport's narrative (her own printed words about Martin Luther King Junior's big and yes oh so massively important and powerful utterances), I have also and personally always felt more than a bit uncomfortable with some of the textual (the authorial) assertions of Martin's Big Words (well actually more with what has been seemingly rather willfully ignored by Ms. Rappaport). For it is more than well known that Martin Luther King Juni While I have in many ways very much appreciated author Doreen Rappaport's narrative (her own printed words about Martin Luther King Junior's big and yes oh so massively important and powerful utterances), I have also and personally always felt more than a bit uncomfortable with some of the textual (the authorial) assertions of Martin's Big Words (well actually more with what has been seemingly rather willfully ignored by Ms. Rappaport). For it is more than well known that Martin Luther King Junior always always preached inclusiveness and tolerance towards everyone, towards ALL people and that he actually also had quite a bit of support from non African Americans, especially from younger members of the clergy, and that therefore NOT ALL white clergymen (NOT ALL ministers) were as Doreen Rappaport seems to narrationally and rather unilaterally if not glibly claim against the Civil Rights Movement and demanding that Martin Luther King Junior's marches and protests stop (and these younger ministers and pastors in fact were very much risking their careers, even their lives and the lives of family members by openly supporting Martin Luther King Junior, something that the latter also always happily and gladly acknowledged). Therefore, it is more than a bit sadly annoying and frustrating for me on a personal level that Doreen Rappaport simply seems to totally and utterly ignore this important historical point of truth in Martin's Big Words. And while I do NOT actually think the fact that Martin Luther King Junior was also supported by many non African Americans, but in particular by many younger members of the clergy, should be included within the text proper of Martin's Big Words, as I do believe that the narrative needs to be completely, wholly African American point of view centred (as it indeed has been conceptualised and penned), the author should absolutely have added said to and for me essential historical information as a post narrative note (perhaps on the same pages as the time line and the excellent suggestions for further reading). And really, that Doreen Rappaport simply chooses to utterly and completely ignore that Martin Luther King Junior was NOT universally despised by all non African Americans and that while many members of the clergy were indeed highly critical of Martin Luther King Junior, there was also much internal, often unofficial but still often palpable support of him and his philosophy, his demands for civil rights (and especially in the more modern thinking, increasingly socially conscious churches across in particular the northern USA), this is in my opinion both a serious lack and really an almost unacceptable omission (as it very much goes against both Martin Luther King Junior's life and his entire legacy of inclusiveness and global tolerance). But, if we keep killing the most enlightened and inspired people amongst us, how will we ever do it? I always appreciate added information in books. So, I found it wonderful to have important dates highlighted and additional MLK information added at the end of the book. After I read the book, I went back and read the author’s and Illustrator’s notes. It was interesting to find out their thoughts on how they approached creating this book. I did like the artwork although a tad on the dark side. I think Martin’s life would have been better depicted in light rather than dark, because he brought so I always appreciate added information in books. So, I found it wonderful to have important dates highlighted and additional MLK information added at the end of the book. After I read the book, I went back and read the author’s and Illustrator’s notes. It was interesting to find out their thoughts on how they approached creating this book. I did like the artwork although a tad on the dark side. I think Martin’s life would have been better depicted in light rather than dark, because he brought so much of it into the world. All in all, I found it a fair introductory to MLK with much needed discussions from adults. I am not particularly fond of how it began to end. I just feel this book was written for a child and there may need to be the explanation of why he was shot. Not just that he was and he died. However the final words of the book are powerful. I know it can be difficult to place one person’s incredible life into a 32 page book. I think with what the artists had to work with they did well. This wonderful biography is an homage in words and pictures. Rappaport weaves together King’s own words with her brief text sharing King’s all-too-short life. As a young boy, Martin knew that he wanted to inspire others using “big words.” Collier’s watercolor and collage illustrations express King’s joy in life, solemn sense of purpose, and passionate beliefs. 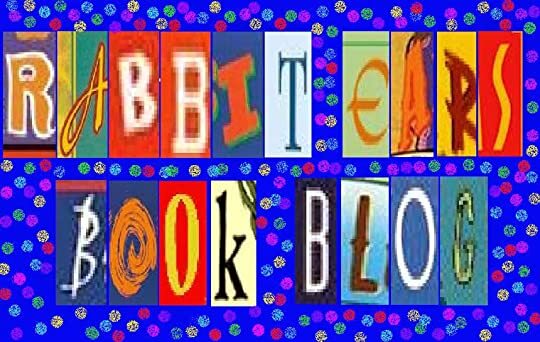 This book is part of the Big Words series of picture books by Doreen Rappaport. Of the three books that we read this year about Martin Luther King, Jr. in honor of his birthday, this one was by far my favorite. I have to echo the comments made by one reviewer that all the books seem to be written with the same script; but this one is just different enough to pique my interest. The illustrations are wonderful and I love the way his words echo throughout the book. I felt his conviction and his hope This book is part of the Big Words series of picture books by Doreen Rappaport. The illustrations are wonderful and I love the way his words echo throughout the book. I felt his conviction and his hope pour out from the pages. I really liked this story and our girls did too. My favorite quotes: "Love is the key to the problems of the world." and "Hate cannot drive out hate. Only love can do that." This book was featured as one of the selections for the February 2011 - Black History Month themed reads for the Picture-Book Club in the Children's Books Group here at Goodreads. Martin's Big Words: The Life of Dr. Martin Luther King Jr. is an excellent picture book for students of all ages, even though the book is intended for grades 1-3. I gave this book four stars (reallly liked it) mainly because of the unique format of the book. As opposed to just "telling" the story of Dr. King's life, Rappaport starts the story with Martin encountering the hurtful words WHITE ONLY and his mother's subsequent explanation that he is was "as good as anyone." The story of his life con Martin's Big Words: The Life of Dr. Martin Luther King Jr. is an excellent picture book for students of all ages, even though the book is intended for grades 1-3. I gave this book four stars (reallly liked it) mainly because of the unique format of the book. As opposed to just "telling" the story of Dr. King's life, Rappaport starts the story with Martin encountering the hurtful words WHITE ONLY and his mother's subsequent explanation that he is was "as good as anyone." The story of his life continues through the use of important words and phrases that coinceded with different parts of his life. Through the mixture of biography and quotes, the reader not only gets a sense of the person Dr. King was, but also the ideas that he developed, or that were developed because of him. Martin's Big Words was written by Doreen Rappaport and illustrated by Bryan Collier. Published in 2001 by Jump at the Sun/Hyperion Books for Childre, it was a Cadecott Honor Book (2002), a Coretta Scott King Award Honor book (2002), and The New York Times Book Review Best Illustrated Children's Book for 2001. The illustrations in this book are amazing starting with the stain glass windows on the opening pages that reminds one of the Reverand Dr. Martin Luther King's roots. The text is also used Martin's Big Words was written by Doreen Rappaport and illustrated by Bryan Collier. Published in 2001 by Jump at the Sun/Hyperion Books for Childre, it was a Cadecott Honor Book (2002), a Coretta Scott King Award Honor book (2002), and The New York Times Book Review Best Illustrated Children's Book for 2001. The illustrations in this book are amazing starting with the stain glass windows on the opening pages that reminds one of the Reverand Dr. Martin Luther King's roots. The text is also used to help tell the story and the powerful words of Dr. King. Sometimes large, sometimes in a different font, his message becomes more and more clear throughout the book. This picture book, recommended for readers 8-10 years of age and has received the Coretta Scott King Award, Caldecott Honor (2002), New York Times Best Illustrated Children's Books (2001). This is a book that tells the story of MLK’s life and times. This narrative tells of MLK’s life and the Civil Rights Movement by weaving together the authors words and actual words spoken by MLK. This book describes the Civil Rights Movement, inequality, and the life of MLK in a captivating and emotional way. This picture book, recommended for readers 8-10 years of age and has received the Coretta Scott King Award, Caldecott Honor (2002), New York Times Best Illustrated Children's Books (2001). This is a book that tells the story of MLK’s life and times. This narrative tells of MLK’s life and the Civil Rights Movement by weaving together the authors words and actual words spoken by MLK. This book describes the Civil Rights Movement, inequality, and the life of MLK in a captivating and emotional way. The themes of “You are as good as anyone” and “Everyone can be great”, as well as inequality and death shine through. The illustrations are unique, colorful, and are done in the style of collage art. Overall, the book paints an accurate picture of MLK, a man who helped big changes occur in America and all over the world. Information about important dates surrounding the Civil Rights Movement and a list of additional books and websites to go to for more information also add to the book. I've been in education for 15 years, this is my first year as a principal. for the past 6 years I didn't have my own classroom or group of kids that I worked directly with. I am soooooo excited to be with kids again! In the first week or so of school, I'll be going to each class and reading a book, and leaving it with the class. I got this one for the 5th graders, because it's beautiful and honors the intellectual capacity of this group of kids while tapping into their inate sense of justice. A I've been in education for 15 years, this is my first year as a principal. for the past 6 years I didn't have my own classroom or group of kids that I worked directly with. I asked my son if he knew why he was off school this Monday. He did not. I asked him if he had learned about Martin Luther King in school. He said he had not. Now, maybe they did and he daydreamed through it or they'll cover it tomorrow but I was having none of that and hustled over to the library where they had a basket full of kids books on MLK and the librarian helped me pick the most perfect picture book for my 7 year old. This is a brief history of the highlights of Dr. King's life along wit I asked my son if he knew why he was off school this Monday. He did not. I asked him if he had learned about Martin Luther King in school. He said he had not. Now, maybe they did and he daydreamed through it or they'll cover it tomorrow but I was having none of that and hustled over to the library where they had a basket full of kids books on MLK and the librarian helped me pick the most perfect picture book for my 7 year old. Hello everyone! It’s Friday, so we are continuing our Black History Month series with today’s book, Martin’s Big Words: The Life Of Dr. Martin Luther King, Jr., written by Doreen Rappaport and illustrated by Bryan Collier. This picture book biography of Dr. King uses the theme of his “big words,” i.e. his powerful writings and orations, to trace his story; from his roots as a pastor’s son growing up in the Jim Crow South, to a young activist advocating peaceful protest during the Montgomery bus boycott, to his being awarded the Nobel Peace Prize, to his tragic death in Memphis. Throughout, excerpts of his writing and speeches are quoted to emphasize his message of justice, equality, civil rights, and change through strength of love, not violence. This is a great primer for children to learn about Dr. King’s life and work. It’s simplified enough that younger readers will not feel overwhelmed, and the quotes it features are ones with universal concepts that little bookworms can understand (focusing on justice, love, peace, equality, etc). I especially like that it started his story as a child, so little ones can more easily identify with his journey as he grows. But the book is still honest enough that it confronts the murder of Dr. King (tactfully), and the legacy he left behind. Collier’s illustrations are, of course, gorgeous (he was also the illustrator of last week’s BHM book, I, Too, Am America). The length is fine for baby bookworms, and JJ liked it very much. A fantastic kidlit biography with some beautiful art and a powerful message about the right to equality, the courage of one’s convictions, and the power of words. Baby Bookworm approved! Martin's Big Words was written for children in the primary grades. This story is about the life of Martin Luther King Junior. MLK's quotes are woven throughout the words of the entire text. It begins when Martin is a young boy and continues through his death. When he was a child he recognized racism in the community and wanted to make a difference. When he grew up he became a minister and learned that hate could be overcome with love. Over the years he worked with city leaders to improve the rig Martin's Big Words was written for children in the primary grades. This story is about the life of Martin Luther King Junior. MLK's quotes are woven throughout the words of the entire text. It begins when Martin is a young boy and continues through his death. When he was a child he recognized racism in the community and wanted to make a difference. When he grew up he became a minister and learned that hate could be overcome with love. Over the years he worked with city leaders to improve the rights of African Americans. Because of how outspoken he was about civil rights many people hated him and did horrible things to him and his family, but he kept on speaking and eventually won the Nobel Prize. In 1968, however, Martin Luther King Jr. was shot and killed. Although he died, his words lived on. The DVD is recommended for students in primary elementary grades. The video is about 9 minutes and every minute is captivating. I highly recommend this DVD produced by Scholastic. The narrator does an excellent job of capturing the listener from the start. After viewing the DVD, I read the book and found the DVD to be more powerful and intense. "Martin's Big Words" focuses on just that, the big words he used to change inequalities in the south, and improve the lives of all Americans. The pictures look like they are out of a magazine and look three-dimensional. The layout of each page gives equal emphasis to his words and the pictures. On almost every page is a quote taken directly from Martin. This book discusses Martin's role in the 1955 Montgomery Bus Boycott. This lets younger readers see his connection to Rosa Parks and helps build "Martin's Big Words" focuses on just that, the big words he used to change inequalities in the south, and improve the lives of all Americans. The pictures look like they are out of a magazine and look three-dimensional. The layout of each page gives equal emphasis to his words and the pictures. On almost every page is a quote taken directly from Martin. This book discusses Martin's role in the 1955 Montgomery Bus Boycott. This lets younger readers see his connection to Rosa Parks and helps build background knowledge for when they study these events in later grades. The last two illustrations are haunting and remind us that his words won't be forgotten. The illustrations for this are quite unique - a mixture of collage and watercolor. I would love to see how Bryan Collier creates his art. I thought the text was just okay, although I did like the use of so many quotes from Martin Luther King. I also find it curious that they didn't include the book's title on the front cover. This is a good introductory book about Martin Luther King Jr. My son did not really like the pictures, though. Rappaport, Doreen. (2001). Martin’s Big Words: The Life of Dr. Martin Luther King, Jr. B. Collier. New York: Scholastic, Inc.
“When I grow up, I’m going to get big words, too.” Martin did grow up to just this. He was a minister, just like his father and used big words to preach. Martin said “together” when others were saying “separate”. Martin walked, talked, and sang with others as they protested for equal rights. When black Americans were beaten and murde Rappaport, Doreen. (2001). Martin’s Big Words: The Life of Dr. Martin Luther King, Jr. B. Collier. New York: Scholastic, Inc.
“When I grow up, I’m going to get big words, too.” Martin did grow up to just this. He was a minister, just like his father and used big words to preach. Martin said “together” when others were saying “separate”. Martin walked, talked, and sang with others as they protested for equal rights. When black Americans were beaten and murdered for marching, Martin reminded people that “love is the key to the problems of the world.” In April of 1968, Martin was shot and died in Memphis, Tennessee, but “his big words are alive for us today.” Rappaport’s creativeness with text size, placement, and color emphasizes Martin’s big words while Collier’s stained glass artwork emphasizes Martin’s non-violent beliefs. I enjoyed this biography of Martin Luther King, Jr. because it was organized uniquely and provides readers with a new perspective on a well-known leader. 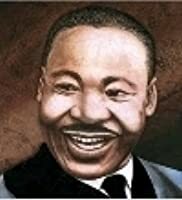 Both the Author and the Illustrator have written a “note” on the dedications page that reveals how they are both connected to and inspired by Dr. Martin Luther King, Jr. 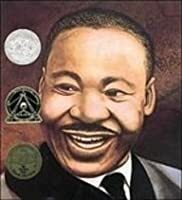 I particularly like how Rappaport mentions that she read several other biographies on Dr. Martin Luther King, Jr. in preparation for this book (and she learned that a child, Martin was determined to use “big words”) because it validates her authenticity but teaches the readers something new about this great leader. 2002 Caldecott Honor - Favorite Illustration: The page that talks about King winning the Nobel Peace prize with the little girl in front of the American Flag. I love the way this book focuses on the words and teachings of Martin Luther King, Jr. and tells about the way he encouraged people to fight by marching, talking, and praying rather than by fighting, looting, and hurting. I also loved reading this book with my daughter on Human Rights Day and talking with her about the life of this great le 2002 Caldecott Honor - Favorite Illustration: The page that talks about King winning the Nobel Peace prize with the little girl in front of the American Flag. This book tells the story of Martin Luther King, Jr's entire life, from childhood in the Jim Crow South, through his work as a civil rights leader, until his death. In addition to the gorgeous, practically life-like paintings of King and his family members and colleagues, what I like about this book is how simply the facts are laid out, so that even small kids learning of Dr. King for the first time can understand and appreciate them. The size of this book is also just perfect for sharing with l This book tells the story of Martin Luther King, Jr's entire life, from childhood in the Jim Crow South, through his work as a civil rights leader, until his death. In addition to the gorgeous, practically life-like paintings of King and his family members and colleagues, what I like about this book is how simply the facts are laid out, so that even small kids learning of Dr. King for the first time can understand and appreciate them. The size of this book is also just perfect for sharing with larger groups, and also suits the "big words" King used to make his important arguments for equality and justice. Doreen Rappaport has written many books of fiction and nonfiction for young readers, specializing in thoroughly researched multicultural history, historical fiction, retellings of folktales and myths, and stories of those she calls the "not-yet-celebrated." Among her recent books is Martin's Big Words: The Life of Dr. Martin Luther King, Jr., illustrated by Bryan Collier, which received a Caldecot Doreen Rappaport has written many books of fiction and nonfiction for young readers, specializing in thoroughly researched multicultural history, historical fiction, retellings of folktales and myths, and stories of those she calls the "not-yet-celebrated." Among her recent books is Martin's Big Words: The Life of Dr. Martin Luther King, Jr., illustrated by Bryan Collier, which received a Caldecott Honor Award and a Coretta Scott King Honor Award for illustration. Doreen Rappaport divides her time between New York City and a rural village in upstate New York.